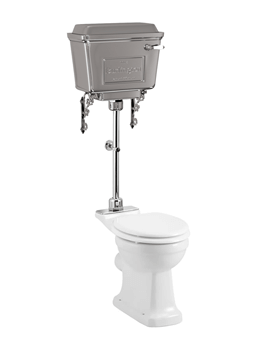 This effective rimless coupled pan from Burlington makes a fine choice for any indoor design job that needs a new toilet. 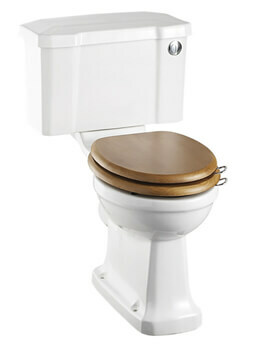 The set includes Rimless close coupled pan, Cistern including lever cistern fittings and Medium level flush pipe kit. 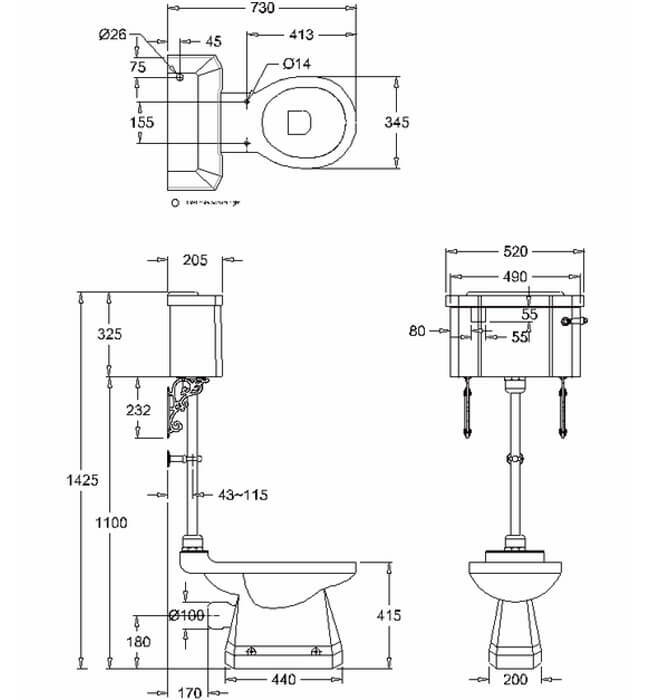 The attractive design, including a dual flush cistern, makes smart use of water. 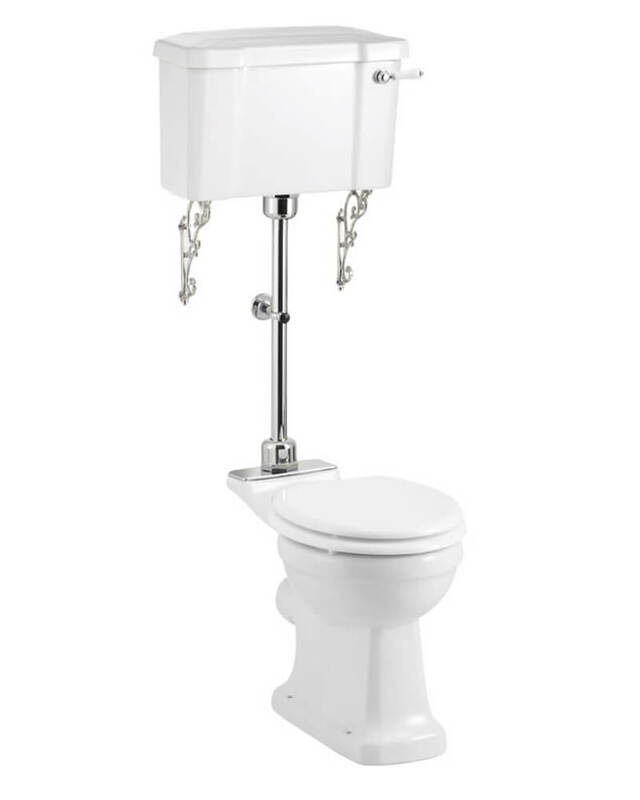 The attractive white finish is easy to blend into the general scheme of your bathroom. 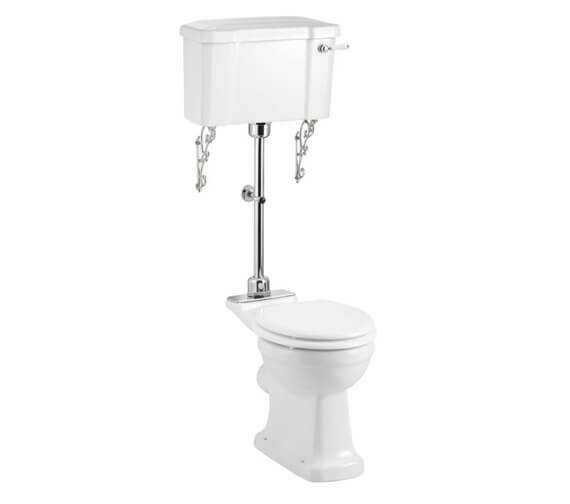 Made from strong and sturdy vitreous china, this unit looks incredible while functioning for years to come.